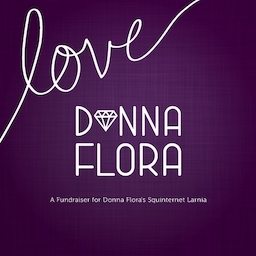 Luziefee is participating in Fundraiser event "Love Donna Flora". I learned about the store Donna Flora and the designer Squinternet Larnia, when discovered the 1920s Berlin Project. She is a great designer, I was so impressed when I saw her designs. Unfortunaley Squinternet Larnia learned 2 years ago, that she had breast cancer. She made a cure and felt better, but now the cancer came back, worse as before. She decided to do a therapy which is not payed by the health system in her land. And so friends in Second Life decided to start a fundraiser event. Many, many designer take part in this event. Have a look. Even if you don´t want to buy anything, help with a little donation please :) Every Linden counts.